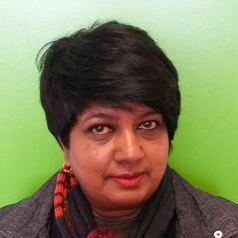 Kasturi is an academic and professional staff development lecturer in the Centre for Higher Education Development (CHED) at the University of Cape Town. She currently convenes the New Academic Practitioners’ Programme, The Short Course on Teaching, and the Learning and Teaching in Higher Education module of the PGDip/Masters coursework, all of which focus on the development of emerging, new and established academics. Her current work is focussed on examining the interplay between structures (national, institutional, departmental and disciplinary), institutional culture and lecturer agency within the framework of ‘Africanising the curriculum’. Other areas of interest include critical pedagogies, social justice, and transformative staff development initiatives such as preparing and inducting the next generation of academics into higher education.